There are four header styles available. All header styles can be overlapped and transparent. For the Style 1 and Style 2; there are two rows which can use a different header skin and settings. 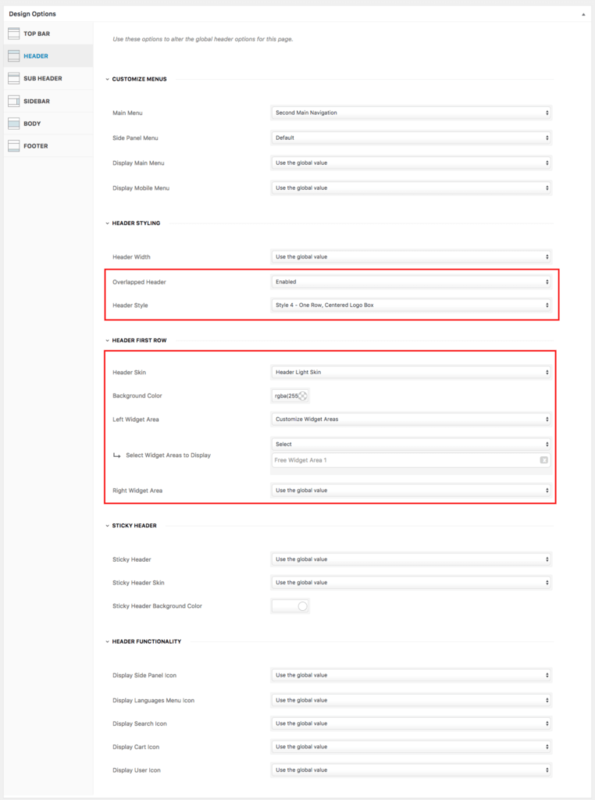 Go to Customize > Styling Options > Header to change the global header settings. You can also use the Desing Options box inside the page/post edit screens to overwrite the global settings. 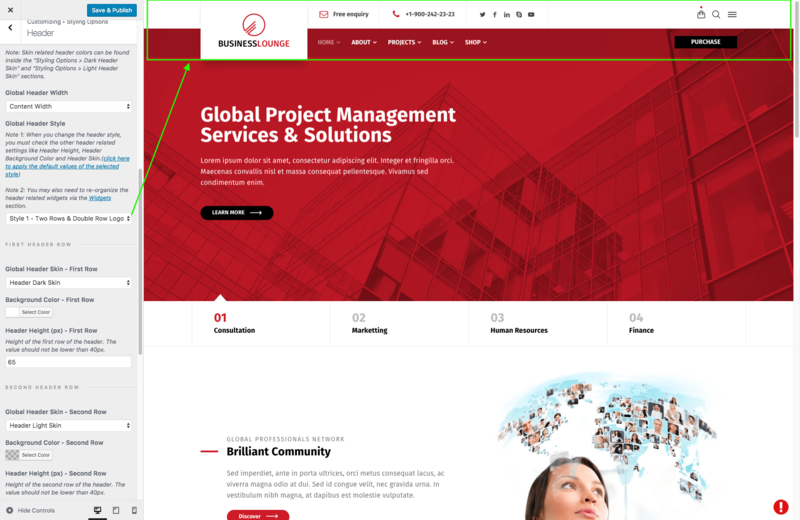 For example, we have used the following settings to have a transparent, light, Style 4 header on the Home Page XI while our demo site using Style 1 globally.